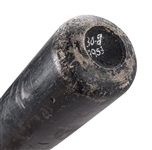 Former Baltimore Orioles second baseman Jonathan Schoop used this D-Bat JPMS46M during his rookie season of 2014. Schoop hit 16 home runs and had 45 RBI in his debut full season in 137 games for the O’s. This bat displays outstanding use and has a crack on the handle. 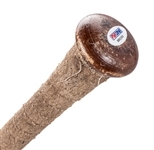 There are ball marks, stitch impressions and cleat imprints present on the barrel. 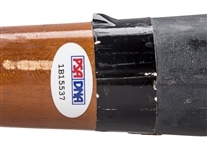 The handle has been taped in a spiral pattern to enhance the grip. Schoop has signed this bat in silver marker on the black barrel and inscribed “46” and “game used”. 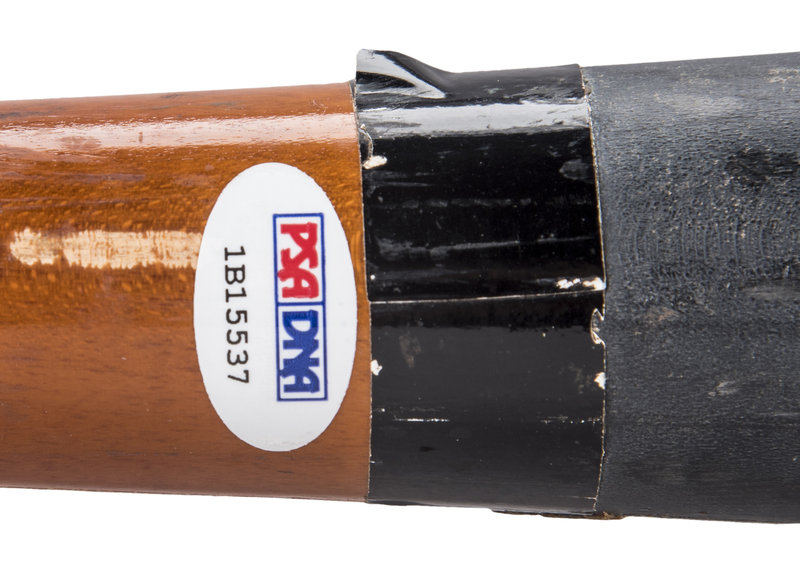 This bat comes with a LOA from PSA/DNA (1B15537) for the game use and has been graded a near-perfect GU 9. 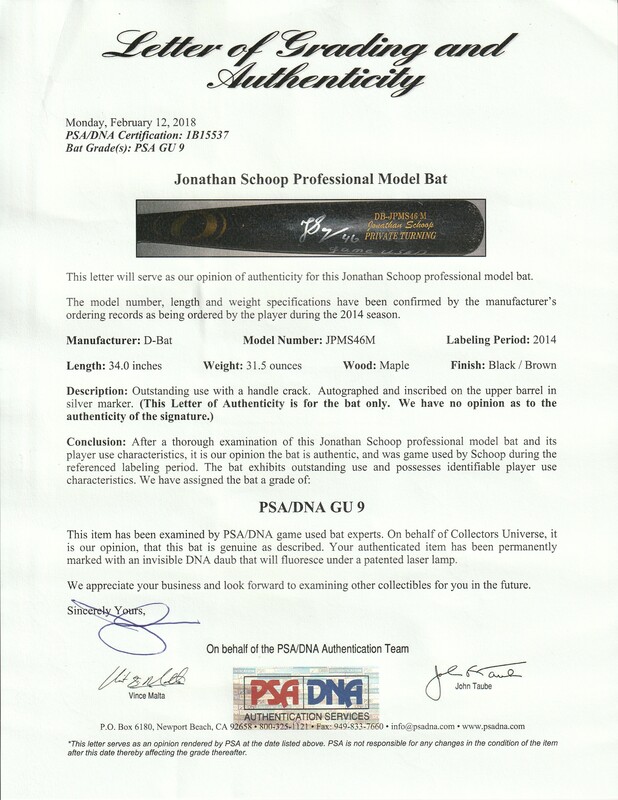 There is also a COA from PSA/DNA (R80265) for his signature.